You may have heard about the recent tariff imposed on imported solar modules by the Trump administration. 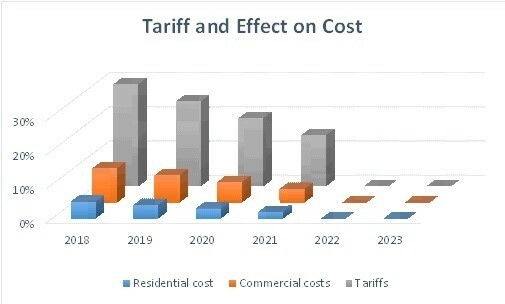 Without getting into “why” a tariff was placed on solar modules, let’s just look at what the tariff is and how it can impact your decision to invest in solar. First, what are the tariffs? Starting February 9, 2018, a 30% tariff will be levied against the import of all solar panels regardless of the country of origin. It then goes down 5% per year for the next three years. 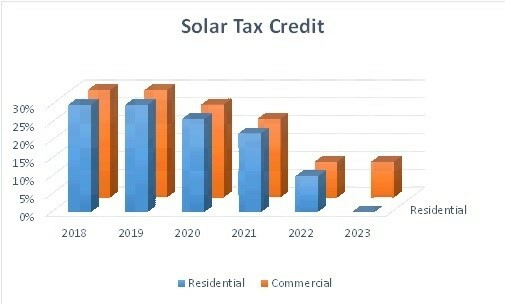 A 30% tariff on solar modules does not equal the 30% tax credit. The benefits of the tax credit far outweigh the harm imposed by the tariff. 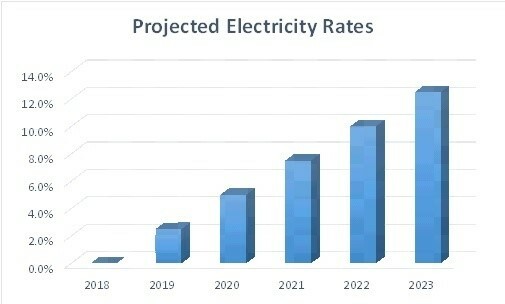 While a 30% tariff may sound like a huge hit to the solar industry, when translated to the overall cost of the system, residential systems will increase by about 5% and commercial systems will increase by 10%. This is because solar modules make up a lower percentage of the overall cost of residential systems and a slightly higher overall cost to commercial systems. Also remember the 30% tax credit is still in effect for 2018 and 2019 which will help mitigate the higher cost tariffs may impose. Because the overall effect of tariffs will only result in 5-10% higher cost, it’s still more advantageous to invest in solar in 2018 and 2019, before the tax credit starts to phase out. In 2016, the Georgia Public Service Commission and Georgia Power agreed to freeze rates until the next rate case in 2019. A lot has happened since then. Georgia Power purchased Atlanta Gas & Light for $12 billion and the cost to build Plant Vogtle 3 and 4 have soared to a total of $25 billion. These two events have not been factored into rates yet but all that’s about to change in 2019. While rates are projected to continue to go up, solar does not. Because there is no fuel cost (the sun is free) and very low operating and maintenance cost, solar works perfectly as a hedge against increasing utility rates. Most solar panels come with a 25-year production warranty, so you can count on solar as a reliable and enduring source of energy. Using solar as a hedge in the summer months goes even further to reduce high peak demand charges. Solar generates more energy in the summer months when energy demand spikes and the cost of energy goes up. Solar generates more energy when energy is the most expensive. What does all this add up to? The tax credit will soon start to phase out, the tariff’s will only result in a marginal increase of the cost, and rates are projected to once again resume their historical increase of at least 2.5% annually. All this makes 2018 and 2019 the best time to go solar. Now is the best time to use your property to generate your own electricity and to take control of your energy with clean, renewable energy. 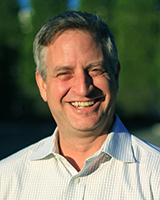 Comments on "Now is Still the Best Time to Go Solar!"